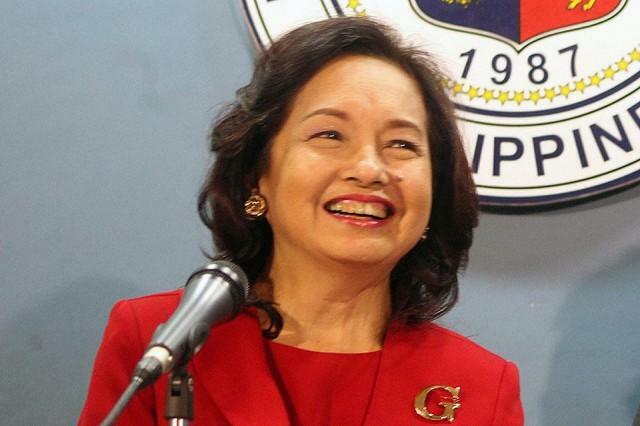 Former President Gloria Macapagal Arroyo instantly became the House Speaker before President Duterte's SONA on Monday. Her election came after what appeared to be an informal voting among House members favoring her with 184 members of the chamber. This move effectively removed Davao Del Norte Representative Pantaleon Alvarez from his position. Despite of Arroyo's promise to push for the legislative agenda of the Duterte administration in the House of Representatives, many are against with what happened. Senators Ping Lacson and Grace Poe said it might be part of a plan to put her back at the top as prime minister. Meanwhile, many are amenable with the election of GMA as House Speaker. Aminah Suryah, a concerned citizen stated that GMA's expertise in economics is much needed to fast track the enactment of bills in relation to TRAIN tax reform program. "GMA is an Economist by profession (former professor at Ateneo) with proven track record of performance during her term as President. The the effect of her economic performance cascaded and was reaped by PNOY," Suryah said. "With the implementation of TRAIN tax reform program, President Duterte needs the expertise and capable leadership of GMA in the Congress to fast track the enactment of Bills that will support his program, which has 5 tranches of implementation. Warrior-ship 101 - the enemy (GMA) of my enemy (LP Yellows) is my friend," she added. Ed T. Quiocho, a lawyer said the election of GMA is valid and has nothing to do with her corruption issues. "GMA's election as Speaker of the House, when more properly validated, has nothing to do with past, present and future corruption," he said. "Most if not all charges of corruption against GMA have been DISMISSED. if there are still any, it should be prosecuted in a court of law and not through publicity or media or speculation", Quiocho added. Quiocho said Arroyo is qualified and she was elected by the lawmakers because of her intelligience, experiences and competence as a leader figure. "GMA qualified and was elected by majority of lawmakers in the House not because of any past corruption charge but for her INTELLIGENCE, EXPERIENCES and COMPETENCE as a leader figure."